The songs for Snapline were from a compilation called No Beijing, which cannot be found anywhere on Internet (the English one, at least), except on the Rock in China Wiki. Snapline must be a fun bunch, as their first and only album so far was quoted by My Little Airport’s p in their hit “When the party is over, I miss my dear pornstar”, referring to Snapline’s own “Party is over, pornostar”, the name of that first and only album. I didn’t listen to the whole album – just bits and pieces over at their MySpace and Last.fm page. It might be possible to get their stuff over at iTunes, but I didn’t check. They released their album with Maybe Mars (Bing masi), the same label that released albums for Joyside and Carsick Cars, and obviously led by D-22 owner Michael Pettis who makes a living teaching and analyzing China’s financial markets over at Peking University (Beida). What kind of music? Probably what you call post-punk. Snapline does have a sound that differentiate them from other known bands in the scene. 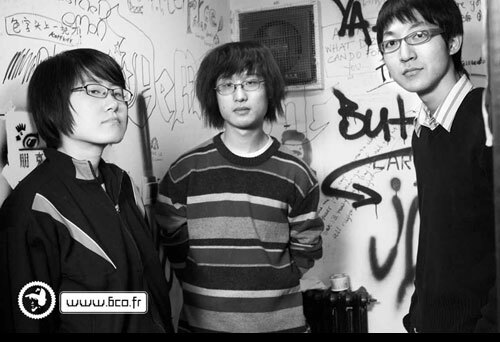 They have (or had) two on their MySpace which starts with their leader going “Yi Er San Si…”, but the one that I like the most is , and unfortunately no longer on the MySpace.